There are two things in this world that I am obsessed with. Ok, there are way more than just two things, but two are coming to mind right now; Justin Timberlake and anything that is buffalo-chicken flavored. Mmmmmmm. I want some right now. I could put Frank’s hot sauce on just about anything, but these enchiladas are definitely my new favorite route to go. Besides the usual enchilada suspects (sauce, cheese, chicken, onions) I added blue cheese and celery to get the whole wings-sauce-celery sticks- blue cheese dip effect going on, and it was definitely a genius idea. I love these enchiladas so much I made them twice in one week. And I’m not sorry about it. In a large saute pan over medium heat, cook the celery and onions in olive oil until translucent and soft. Add in the garlic and cook for one more minute. Add in shredded chicken, mix, and kill the heat. In a separate bowl mix together the enchilada sauce and hot sauce. Pour enough sauce into a 13×9 baking pan to just cover the bottom. 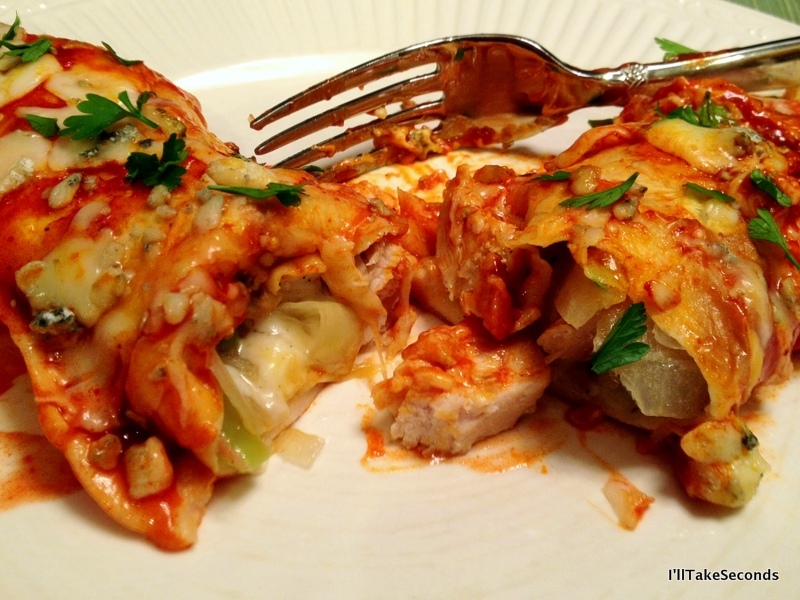 Divide the chicken mixture into sixths, and fill the tortillas one at a time with the chicken and a small amount of the mozzarella and cheddar cheese (you’ll end up using about a half of the cheeses in the actual enchiladas, save the rest for the top). Roll up the tortillas and place in the pan seam side down. 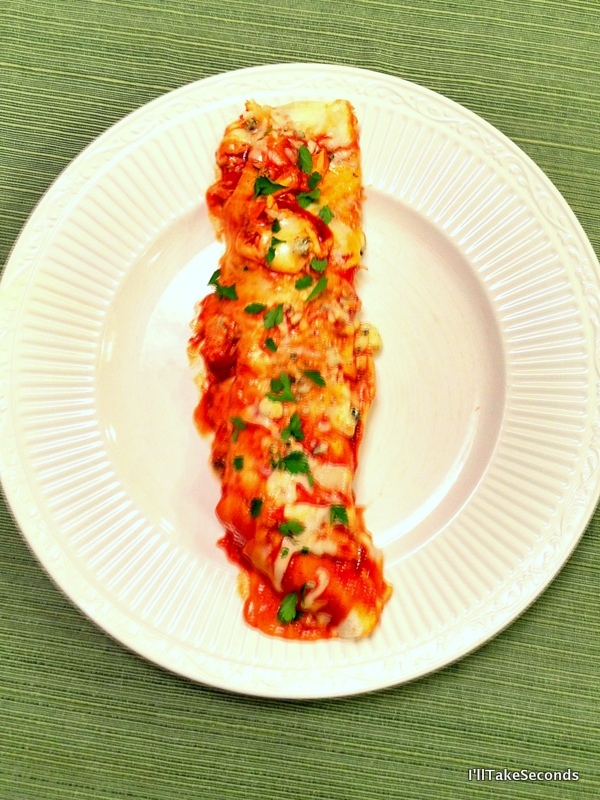 Pour the remaining sauce over the enchiladas and top with the remaining mozzarella and cheddar cheeses. 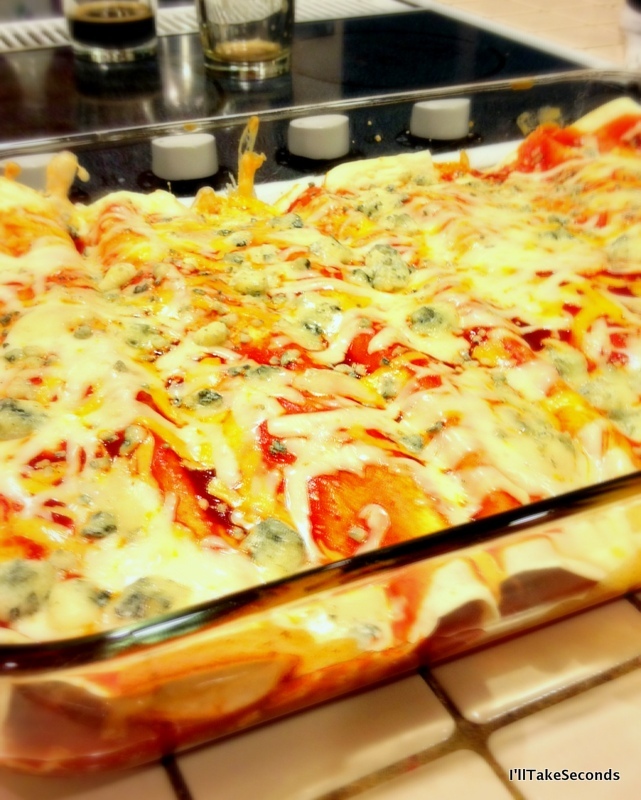 Drop crumbles of blue cheese over the enchiladas. Bake until the cheeses are melted and bubbly, about 20 minutes. Admire how many times I used the word “cheese” in the last few sentences. Apparently the tortillas I used were XXL? In the future I plan on finding a medium enchilada sauce to use instead of mild, and keeping the amount of hot sauce the same… Like I said, I like spice! « A wee bit O’ brined meat and a lot O’ Guinness!